Even if you have a positive cash flow, ask yourself if it’s enough to reach your financial goals. If it is, that’s great. Keep in mind that there may also be ways you can increase your cash flow to an even better position by making some new choices. If you are breaking even or have a negative cash flow, then it’s time to make choices which will lead to achieving your financial goals. 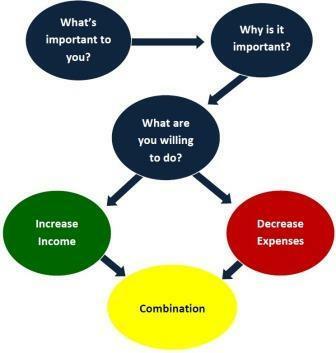 Explore the Increase Income and Decrease Expenses pages in order find what may work for your situation.